Every year, many Americans are plagued with issues related to their taxes. Whether it is being audited or litigating tax disputes, tax-related issues can be overwhelming, complex and tedious. A tax lawyer near Reston VA can help you navigate the confusing federal and state tax disputes you may be facing. Sodowsky Law Firm, PC services clients throughout Northern Virginia and nationwide in a variety of tax cases. Elden Sodowsky, an experienced tax lawyer in Reston VA, will work hard to reduce your financial hardships due to tax audits, the collection of unpaid taxes, and litigation. The following discusses the basics of tax audits, collection, litigation and claims. If you received a notice from the Internal Revenue Service (IRS) that you are being audited, seek assistance immediately from a knowledgeable tax lawyer near Reston VA. IRS tax audits are not only time-sensitive, but also time-consuming and often overwhelming. For instance, during an investigation to determine whether your paid taxes are sufficient, the IRS auditor will review your financial information and may request that you provide an accounting of all of your claimed deductions and expenditures. One mistake, no matter how small, may result in long-lasting, serious consequences. A tax lawyer near Reston VA can help you understand why you’re being audited. He can also help you throughout the investigation process by managing most of the auditing tasks on your behalf. Liens: filing a legal claim, or lien, against all of your property irrespective of whether you acquired the property post-filing. You could still be eligible for tax relief even if you owe unpaid taxes. A skilled tax lawyer near Reston VA can help you resolve or avoid tax liens and levies by, for instance, negotiating a restructuring or reduction of your tax debt. Another strategy option may be through appeals. If your case is not settled outside of the courtroom (which is not uncommon) your case will require a court hearing. 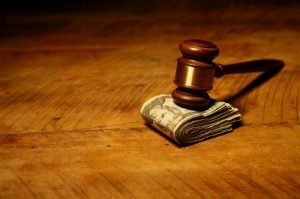 The nature of your tax dispute influences your litigation options. Tax Court: Tax court judges, who specialize in tax law, use their extensive experience and knowledge to resolve the numerous tax disputes on their docket. You do not need to pay your assessed taxes before requesting a hearing in a tax court, unlike other tax-related courts and forums. S. District Court: United States District Court (“District Court”) judges review many different types of legal disputes, including tax issues. You may request the District Court for a tax refund after exhausting your administrative remedies and paying your assessed taxes. Unlike other tax-related courts, in the District Court, you may request a jury trial. Court of Federal Claims: The Court of Federal Claims, located in the District of Columbia, handles numerous tax disputes. After paying your assessed taxes, you are eligible to petition for a refund with the Court of Federal Claims. Your tax lawyer near Reston VA can evaluate your tax dispute and help you decide whether you should file with the Court of Federal Claims. To meet your needs and goals, our tax lawyer near Reston VA can prepare a personalized, persuasive and effective litigation strategy for your case. The Commonwealth of Virginia’s Department of Taxation collects unpaid taxes less formally than the IRS, although still aggressively. We can develop creative strategies and solutions for your state and local tax issues by utilizing our wealth of knowledge and experience of tax and business laws and practices. Elden Sodowsky, Esq. is a seasoned tax lawyer near Reston VA and the founder and principal of Sodowsky Law Firm, PC. He handles complex business and tax disputes by utilizing his forty plus years of knowledge and experience. We provide our clients with personalized representation and aggressively fight for the solutions you deserve. Contact us at 703.457.1613 today.